Download "Workflow. Ingest. Search/Browse/ Transfer between offices. Supports a variety of formats for ingest. 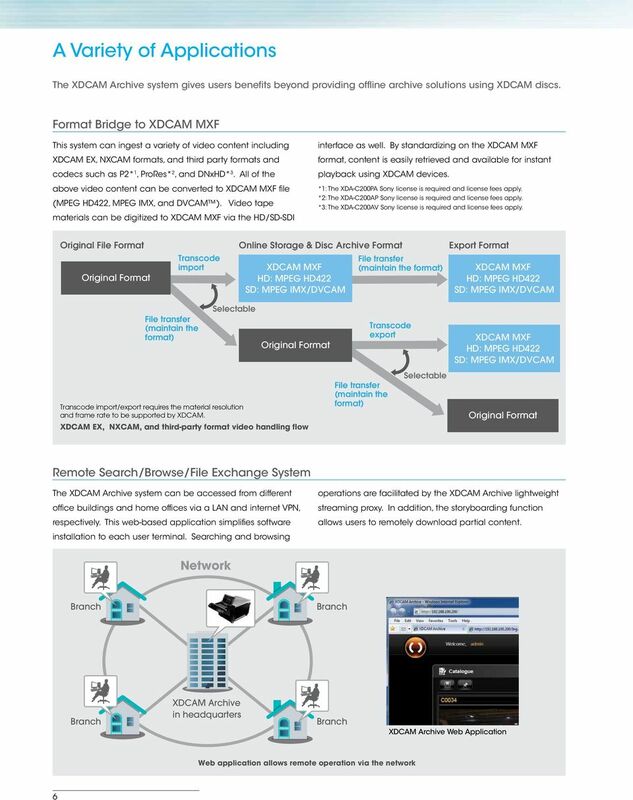 Material and metadata exchange"
1 XDCAM Archive The XDCAM Archive system is designed for today s rich media industry, enabling a practical yet versatile approach to the management of multi-format content from ingest to archive. This powerful file-based content and archive management system is available in several scalable turnkey solutions. Each is capable of ingesting and exchanging AV content with news/edit production systems, workstations, connected devices, and users in the field. 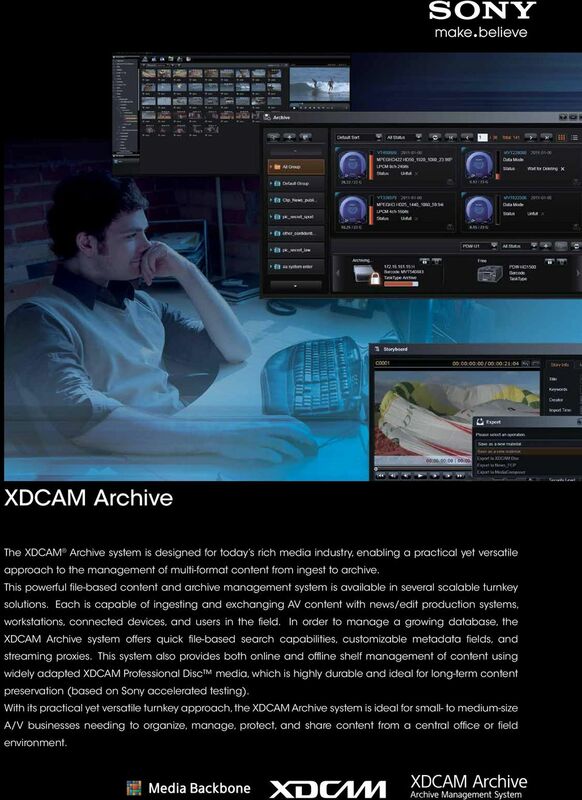 In order to manage a growing database, the XDCAM Archive system offers quick file-based search capabilities, customizable metadata fields, and streaming proxies. 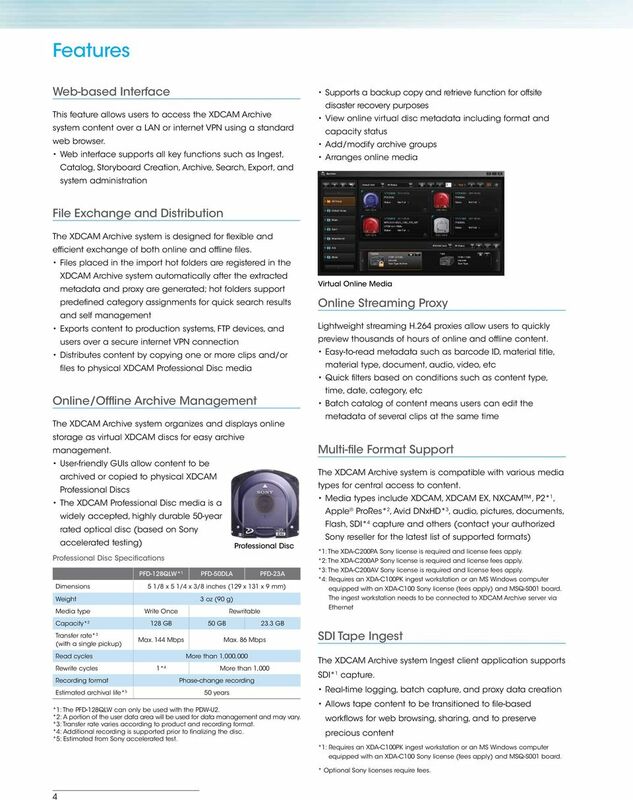 This system also provides both online and offline shelf management of content using widely adapted XDCAM Professional Disc media, which is highly durable and ideal for long-term content preservation (based on Sony accelerated testing). 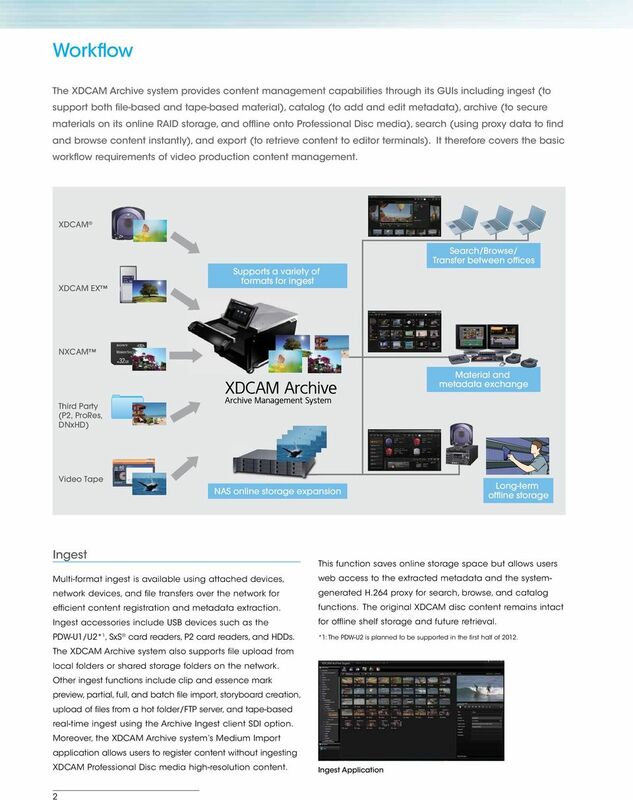 With its practical yet versatile turnkey approach, the XDCAM Archive system is ideal for small- to medium-size A/V businesses needing to organize, manage, protect, and share content from a central office or field environment. STEP BY STEP REFERENCE GUIDE PANASONIC P2 Working with P2: Using the Panasonic HVX200 camera with Avid Media Composer Overview With Avid, editing footage captured with the HVX200 camera is fast and easy. Introducing your Intelligent Monitoring Software. Designed for security. What is Proxsys? With an intuitive browser-based interface, robust features, and scalable configuration options, the Proxsys Media Server makes media asset management and media archiving simple and cost-effective. 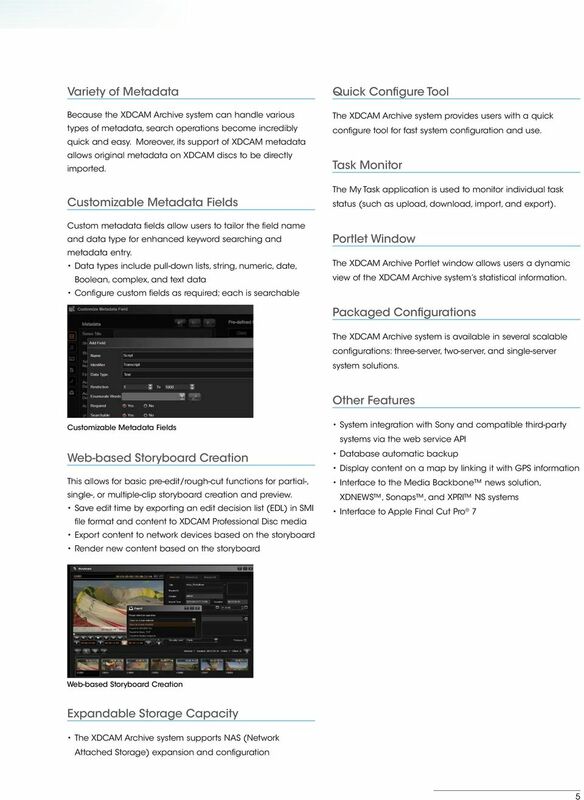 Workflow Comparison: Time Tailor versus Non-Linear Editing Systems WHITE PAPER Prime Image Page 1 October 2014 Copyright 2014 Prime Image 200 Highpoint Drive Suite 215 Chalfont, PA 18914 All rights reserved. November 2007 RTL-TVI Digital News and Program Production The most advanced fully tapeless TV production environment in Europe Customer > "The speed at which breaking news is put to air is very impressive. Workshop Objectives Become familiar with the Final Cut Pro workspace, basic editing, capturing footage, using tools, exporting to tape, or QuickTime. Learn effective workflow and file management strategies. Autodesk Streamline 2008. Achieve maximum project visibility. Interplay. 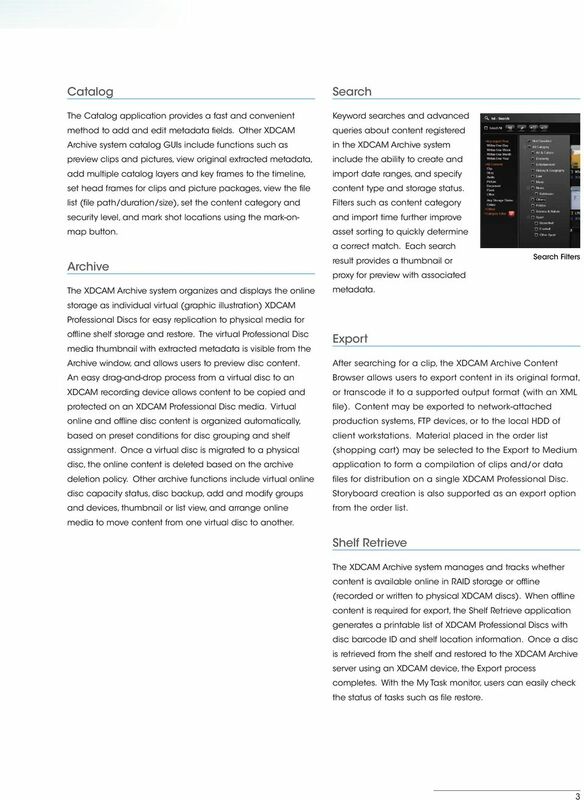 Production and Interplay Media Asset Manager. How the addition of Media Asset Management transforms Interplay. www.avid. 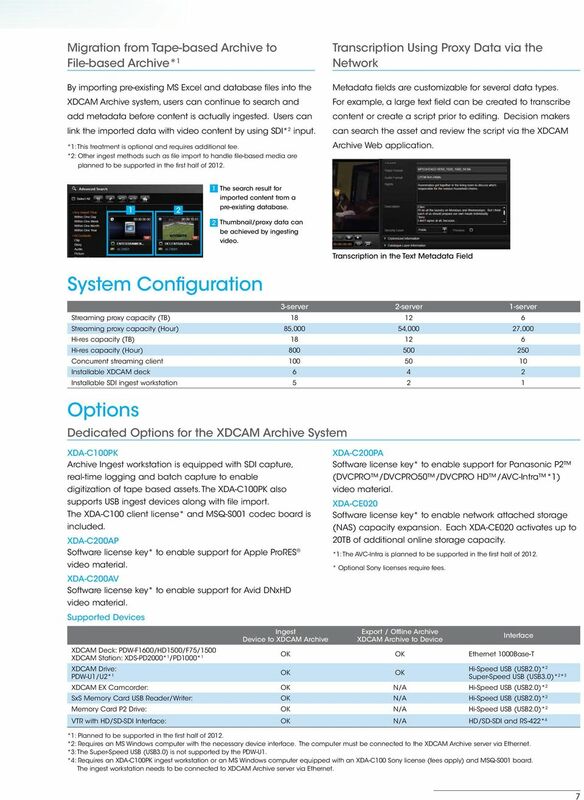 Technology Partner Guide Avid is committed to openness. Customers have many choices in a rich ecosystem of technology partners who enable and extend Avid technology and workflows with their own solutions. 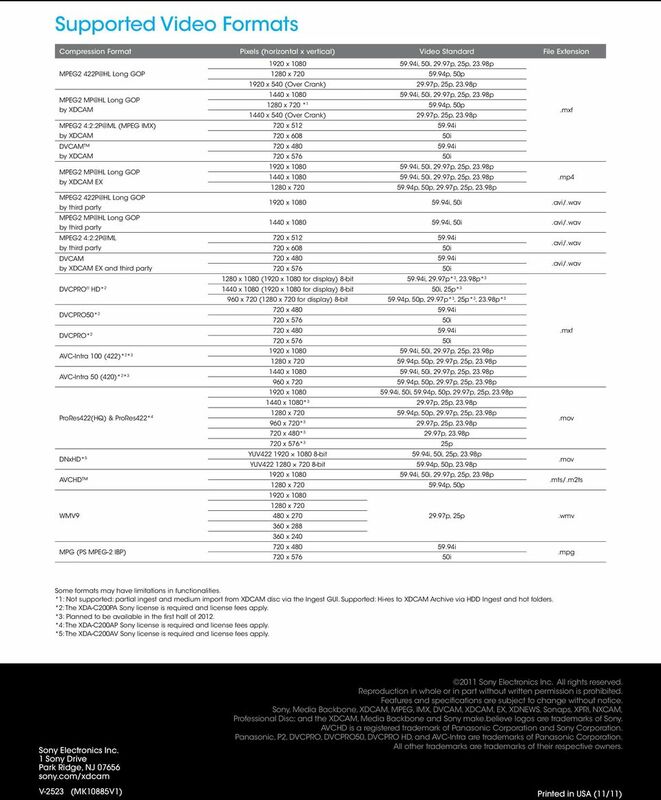 VS-2108L Hardware Spec. CPU Marvell 1.6GHz DRAM 512MB DDRIII RAM Flash Memory 512MB Hard Disk Drive 2 x 3.5" SATA I/II hard disk drive (HDD) NOTE: 1. The system is shipped without hard disk drives. 2. Intel Core i3-2120 processor. 8 x 3.5-inch SATA 6Gb/s, SATA 3Gb/s hard drive. 1. The system is shipped without HDD.